Washington parents, take a minute for teachers! 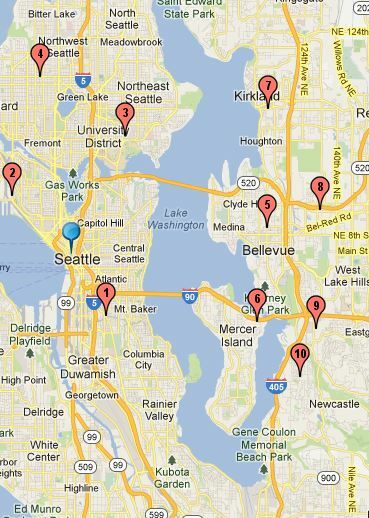 Washington parents, teachers need our help right now. With luck, you’ve been following the controversy over whether student test scores should be used in teacher evaluations. The Washington State Legislature is considering it now. I think they should NOT, and here is the reason I gave when I signed a petition to my legislators. Because it’s ridiculous. No reputable study has said that student test scores measure good teaching. My kids’ underfunded teachers work hard in their overcrowded classrooms, but bureaucratic interference like this just makes their lives more stressful, which interferes with my kids’ ability to learn. Meet the constitutional mandate for fully funding education instead. Should teachers be evaluated? Yes, absolutely! But they should be (and are currently being) evaluated fairly. If their evaluations are based on student test scores, they’re going to have to “teach to the test” — that is, the Common Core test — even more so than they already are. Critical thinking and creativity will get shorter shrift, because there just won’t be time for it. The state PTA is probably out to lunch on this issue, but here is a petition from the Washington State Education Association. Sign it. Now. Please. What am I thankful for on this Thanksgiving holiday? A lot of things, but specifically . . .
My teachers, my kids’ teachers, my friends who are teachers. Where would we be without them? And why do I think that? Because the vast majority of parents like their children’s teachers. 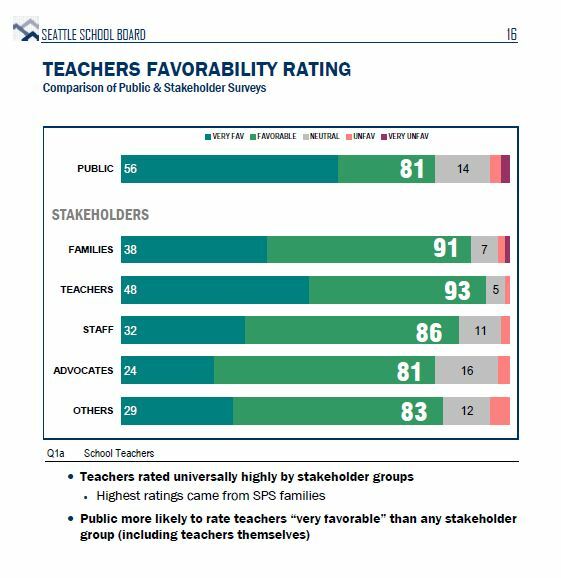 The Seattle School District recently surveyed parents and community members, and a whopping 91% of parents felt “very favorable” or “favorable” about teachers. Here’s the bar graph. This is an overwhelming supermajority of support. It means that whenever teachers are under attack, parents are potential allies. I say “potential” because it doesn’t always work that way. If parents don’t know about the challenges teachers are facing, they’ll stay on the sidelines. And if they can be convinced that the needs of teachers are in conflict with the needs of children, they’ll take the side of whoever claims to represent children. So take heart, teachers. You have friends.